In San Juan Capistrano, J.B. had a problem. He had just purchased a home in San Juan Capistrano that needed a complete remodel and he had submitted all the documents to the community’s Architectural Review Committee. He also submitted additional plans to install solar in the property located in Orange County, California. However, the Committee had denied his plans, “indicating they are strongly opposed to solar energy because they feel it takes away from the ‘tranquility’ of the neighborhood,” he wrote to the HOA Homefront, a syndicated weekly column that appears in newspapers and educates the public on issues pertaining to California residents living in communities ruled by Homeowners Associations (HOAs). Even worse, the Committee had told her they would not approve her other remodeling plans unless she agreed to waive her legal rights to pursue solar for at least four years. Like J.B. perhaps you want to turn to solar power and start saving on your utility bills, but live in a condo, a townhome or a gated community governed by a HOA with very strict rules on the aesthetics of your property. According to HOA-USA.com, there are over 351,000 homeowner associations in the United States. Collectively, they represent over 40 million households or 53% of the owner occupied households in the America. So the question arises, can you install solar panels if you live in a community ruled by an HOA? HOAs rules are often created to ensure uniformity and they may restrict where and how you install your solar system. They may even restrict or impede it. 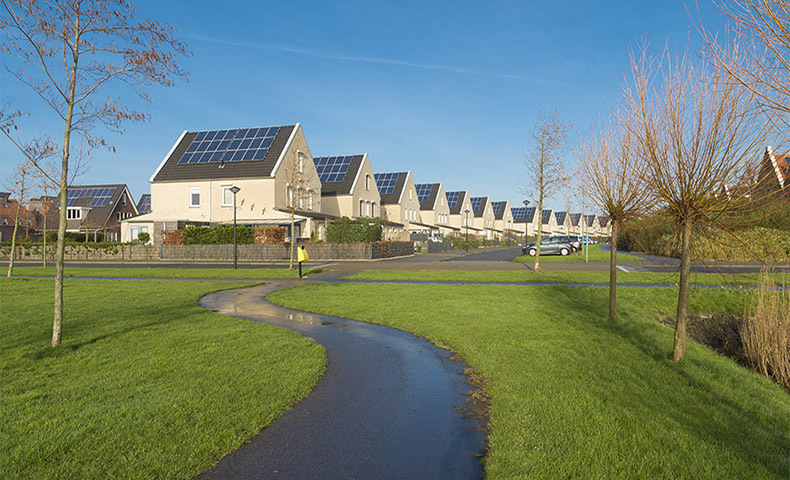 However, more and more planned communities or condominium developments allow for the installation of solar panels, but each one is slightly different. Lawmakers across the country are also trying to give more leeway for those who live under an HOA and want to place solar panels on their properties, proposing and approving bills to protect property-owners solar access rights. Some states that have enacted “solar access rights” laws include California, Utah, Texas, Arizona and Florida. Also, a Solar Bill of Rights is currently making its way through the California Legislature, which would increase access to solar power for residents of the Golden State. Kelly G. Richardson, Esq., a Fellow of the College of Community Association Lawyers and Principal at Richardson|Ober, a California law firm known for community association advice, who answered J.B.’s question on the HOA Homefront noted that in California, "the Civil Code contains very strong legal preference and protection for homeowners who wish to install solar systems. Civil Code 714 protects the right of homeowners to install systems on their property, by declaring that CC&Rs, rules or other governing documents banning solar are unenforceable. The preference for solar was expanded still further at the beginning of 2018 with the addition of Civil Code 4746, which clarifies that even condominium owners may install solar systems on common area – subject to some important limitations and conditions." The Homeowners Protection Bureau has a website where you can check for individual state laws regarding solar energy and HOA rules. Solar easements are voluntary agreements that individual property owners enter into with their neighbors or governing bodies (like HOAs). They allow the property owner to ensure their system gets enough sunlight to remain productive. An easement can specify different things, such as requiring your neighbor keep their trees trimmed or restricting them from building an addition that would obstruct your solar panels. Still, you don’t want to get on your HOA’s bad side and avoid problems later, so before hiring a solar panel installer, consult consult your homeowner’s association rules to determine if there is an approval process for the installation of solar panels or if there are other applicable rules that determine where solar panels can be installed. Some may stipulate no ground-mounts in front yards or other requests. In addition, it's best to ask permission from the HOA before doing any work on your property. This is important, because if you plan to install solar panels on the roof and the HOA maintains and repairs roofs in the community where you live, owners should expect that if they install a solar system the association will require that they insure it, take responsibility for roof leaks, and promise to remove the system if the association needs to work on the roof. For more information relating to going solar, don't forget to visit our solar blog section for more handy guides and articles. Take a few minutes to design the perfect solar panel system for your home, do it now!